By Connie Diamond. Jul 31, 2017. 9:00 AM. In Chapter Four of Harry Potter and the Philosopher’s Stone (known to many American readers as Harry Potter and the Sorcerer’s Stone), the gentle giant, Hagrid—keeper of keys and grounds at Hogwarts—presents Harry with a “large, sticky chocolate cake” for his eleventh birthday. 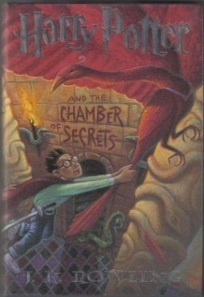 Twenty years have passed since that first book in the Harry Potter series was published. We’ve all celebrated lots of birthdays since then. We’ve all grown—some of us “up” and some of us “old.” And in that time, the beloved character, Harry, has grown as well. 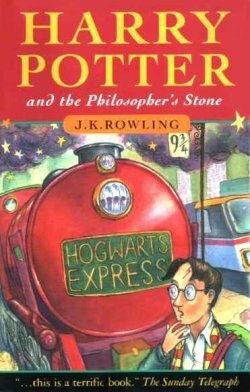 Readers watched him enter the scene as the boy who lived in “the cupboard under the stair” at “number four, Privet Drive.” By series end, he had come of age. And we were there every step of the way cheering him on. When Hagrid presents Harry with his birthday cake, it is the first time that his special day is recognized, and it marks a new birth as well. He is about to embark on his journey at Hogwarts. What is true for the fictional character is also true for the book and its place in our hearts and imaginations. It is the beginning of a magical journey. Author J.K. Rowling was on a bit of a journey herself when the seeds of Harry Potter began to germinate. She had conceived of the idea while traveling on a train between Manchester and London’s Kings Cross station. She developed the story over many years while navigating her way through divorce, single parenthood, and poverty. Her process has become the stuff of legend. Although she probably did not scratch the storylines on the back of cocktail napkins, it is true that she wrote in cafés with her daughter in tow and filled notebooks with details that would never show up in the novels. She believed strongly in knowing everything there was to know about her imaginary world and its inhabitants. The fact that her world is so fully realized is what helps us to enter it so completely. In many ways, J.K. Rowling was the driving force behind a generation of readers. Parents and children read together. Students talked about the plot at the swing set, the childhood equivalent of the water cooler. And those same students, as young adults, now gather on Quidditch fields on college campuses across the country. Celebrating with a “large, sticky, chocolate cake” is a wonderful birthday tradition, as is blowing out candles and making a wish. On this July 31, Harry Potter's birthday, I may indulge in both. And when the candles flicker before me I will close my eyes and take in a big breath, and as I exhale, I will wish that I could read it all again for the very first time.